The project aims to develop a mindset for proactive innovation and entrepreneurship through student-centered teaching and learning with Higher Education and Vocational Education and Training students. Coming from different European countries and disciplines, they shall refresh and develop new skills for progressing innovative ideas towards entrepreneurial practice. See full project website at http://e-minds.eu/. 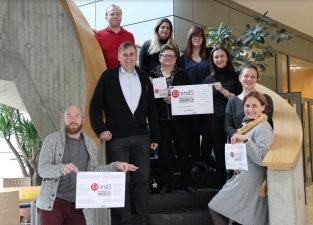 This Erasmus+ international project is based on the Entrepreneurship Competence Framework (EntreComp) developed by European Commission’s DG Employment, Social Affairs and Inclusion. The EmindS Partnership joins 7 partners from 5 European countries.